Are those genes in my Tetris? The highly touted gene-editing technology CRISPR is facing one of its first real-world tests. As many as 12 patients who live with the blood disorders sickle cell anemia or beta-thalassemia have started enrolling in a Europe-based clinical trial that may serve as an early indicator of whether gene editing will live up to the hype. A similar trial will soon be underway in the United States, now that the Food and Drug Administration has given its approval to the trial’s sponsors: Boston’s Vertex Pharmaceuticals and CRISPR Therapeutics, a Swiss firm with labs in Massachusetts. Gene editing requires modifying a cell by either inserting, deleting, changing or replacing cellular DNA. Using DNA sequences known as CRISPRs (or Clustered Regularly Interspaced Short Palindromic Repeats), scientists Jennifer Doudna and Emmanuelle Charpentier in 2012 re-engineered the protein Cas9 to edit genes with relative ease. Previous techniques were more expensive, cumbersome, and edited DNA strands piece by piece. CRISPR, in contrast, can modify multiple segments of DNA at once. 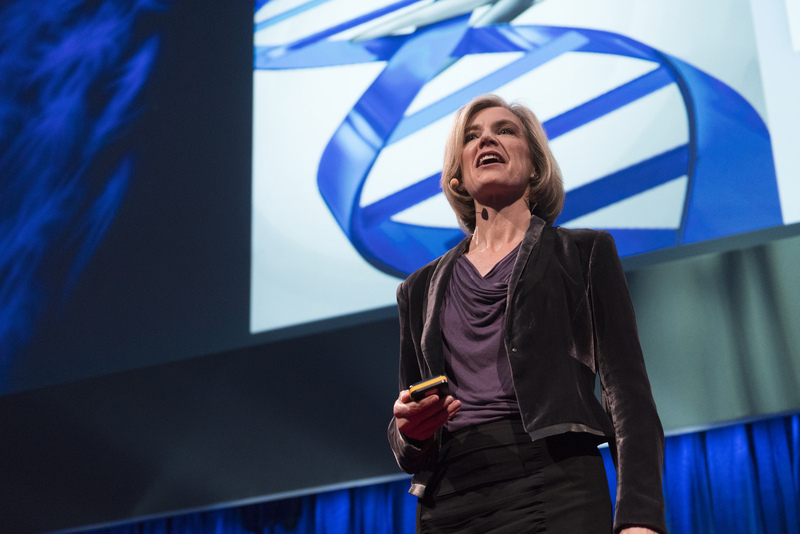 Thanks to Doudna and Charpentier’s achievement, it may soon be possible for DNA that causes debilitating diseases to simply be snipped away. There is now “an explosion of interest around the globe in the possible ways in which genome editing can improve human health,” according to a 2017 report by the National Academy of Science. In that spirit, improving life for patients with sickle cell disease or beta-thalassemia is the big-picture goal of the European trial. Study enrollment began in late September, and the projected completion date is May 2022. For all its promise, CRISPR editing also has risks. A recent British study showed that CRISPR technology is not always precise enough to target only DNA of interest, but can inadvertently edit untargeted sequences. Swedish researchers also recently found that CRISPR tools may, under certain conditions, increase the risk of cancer. Sickle cell disease was first identified in 1910. Its sufferers have inflexible red blood cells that can burst. This leads to hospitalization, or to anemia, a shortage of red blood cells that causes tiredness. African-Americans are most prone to sickle cell disease in the United States, and it is common among southern European populations as well. Beta-thalassemia also often leads to anemia. In the clinical trial, researchers will examine whether CRISPR-modified cells enable greater production of hemoglobin, the protein in red blood cells that carries oxygen. Higher levels of hemoglobin should alleviate the effects of sickle cell and beta-thalassemia, ideally eliminating the need for blood transfusions. Cells will be removed from the patients’ bodies, modified using CRISPR tools, and then reinserted, instead of being modified directly in the bloodstream. In the latter scenario, there is less certainty that a modified gene will reach the correct cell or organ. Beyond the challenges of mastering specific techniques, unresolved questions about the ethics of gene editing remain. “There’s not much concern regarding therapeutic use,” such as improving the lives of sickle cell patients, says Vanderbilt University law professor Ellen Clayton. Clayton served on the 2017 National Academy of Sciences panel that explored the future of gene editing. *Correction, Feb. 4: The original version of this article mischaracterized sickle cell disease; it is the first molecular disease ever identified. CRISPR technology is a new and fascinating era of innovative sciences.And I’m so happy to witness this astonishing process of Biology.